What is the difference between impaired driving and driving with a blood alcohol concentration (BAC) in excess of 80mg? Is it impossible to beat an over 80 or impaired charge? If I refuse to give a breath sample, I can’t be convicted of over 80 or impaired? Can I delay the taking of my breath samples by offering a blood sample? I have been convicted for drinking and driving in the past and this is a subsequent offence. I am definitely going to jail right? I only had two beers prior to being pulled over, can I win? The Judge prohibited me from driving for one year following my sentencing for drinking and driving and/or dangerous driving. The Judge was in Ontario. If I move to another province, I can drive again. If I plead guilty can’t I plead with a Judge to substitute the criminal drinking and driving offence(s) in exchange for a careless? If I am involved in an accident, do I have to comply with a police investigation by answering their questions even if it tends to incriminate me? I intend on pleading guilty so I don’t need a lawyer. How does the breath machine work? Q1. What is the difference between impaired driving and driving with a blood alcohol concentration (BAC) in excess of 80mg? A1. There are two separate and distinct charges in the Criminal Code of Canada for drinking and driving. You can be charged with both but you cannot be convicted of both (note: you can be convicted of other charges such as Dangerous Driving or Refusing to Provide a Sample along with one of these charges). Some people are charged with both and some with only one, it depends on what the officer or the Crown believes it can be proved. Sometimes, even if the officer does not charge you with both the Crown Attorney will seek to add the other charge afterwards. So what is the difference between the charges you may ask? Impaired driving is a determination of the effect that alcohol has on your ability to drive. It includes impairment of even a slight degree and can include a constellation of factors such as your driving, your physical reactions such as slurred speech or stumbling, the odour of alcohol or any other effect alcohol has on you. Over 80 is the scientific measurement of alcohol in your blood. This usually involves breath testing and its relation to your blood alcohol content (see How does the breathalyser machine work for more information). You may be stone sober but still “over 80” and thus lose your license. The extreme examples are an experience alcoholic who may blow 2-3 times the legal limit but alcohol may have no effect on the person due to their experience. This person may be convicted of “over 80” but be found not guilty of impaired driving. It is important to beat both charges as the consequences for either are the same. That is why it is important to get Aitken Robertson involved in your case as early in the process as possible. Q2. Is it impossible to beat an over 80 or impaired charge? A2. 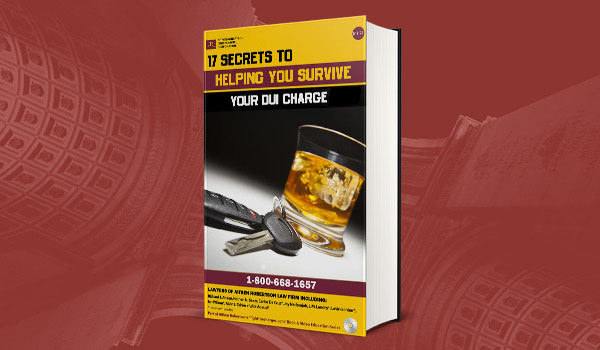 It is not impossible to beat on over 80 or an impaired driving charge. If it were, we would not be in business. The reality is over 80 is a very technical offence both from the Crown’s perspective and from the Defence’s. It is important to understand that when someone is charged with over 80, there is a requirement that some valid bodily sample be tested to determine the concentration of alcohol in one’s blood. In order to get to that stage, the police must first comply with the Charter of Rights and Freedoms requirements that protect individuals from being subject to invasive state power. For example, it is not sufficient for a police officer to pull someone over and simply demand that a breath or blood sample be provided. Furthermore, the police must comply with the requirements of the Criminal Code of Canada which sets out the procedure the police have to go through. This might sound pretty straight forward, but it is not. In many cases, there are blunders, extenuating circumstances, or other factors affecting police compliance with the Code and/or the Charter of Rights and Freedoms. Moreover, there are other defences available that skew the breath/blood sample analysis such as recent drinking which may account for mouth alcohol delay – that is the residual alcohol on one’s breath which has not been ingested into the blood stream. There is also rapid consumption of alcohol (a.k.a. bolus drinking) whereby an individual consumed alcohol in a post-offence scenario prior to the taking of the breath samples. While this argument is rare, it is available given the right circumstances. Also, certain food and drink that is non-alcohol, can, in certain circumstances give rise to skewed breath analysis. Impaired, on the other hand is not so technical of an offence. While over 80 is based on “scientific” testing of one’s breath, impaired charges necessitate some subjective belief of the Officer that the accused person’s faculties are in fact impaired. This belief needs to be grounded in an objective way. For example, in a recent case handled by the team at Aitken Robertson, the officer formed the belief that the accused was impaired simply because the person had admitted to consuming alcohol, had alcohol on the breath, unsteady balance and red eyes. At face value this presents a pretty valid opinion to believe the accused was impaired. However, as it turned out, the officer never turned his mind as to other factors that could have created similar observations. Admitting to consuming alcohol and having its odour on the breath is not an indication of impairment, but of recent consumption. It is possible that someone may have poured the alcoholic beverage into their mouth, swished it around and spit it out (like wine tasters do). It is also possible that someone may have just had one standard drink recently which can account for the recent smell. These factors alone are not sufficient to classify someone as impaired. As for the red eyes and unsteady balance, the officer failed to take into account that the accused was standing on an icy slope with dress shoes on. The officer also failed to account for the late time of night which can explain the red eyes. As such, the Judge held that the accused was not guilty. As you can see, there is hope to defeating an over 80 or impaired charge. What you will need is a lawyer who understands the “science” and legal realm of drinking and driving. Q3. If I refuse to give a breath sample, I can’t be convicted of over 80 or impaired? A3. There is some truth to this. One of the prerequisites for a conviction on over 80 is a breath/blood sample analysis. If you refuse to give said sample, there is no way to convict for that offence. However, it is possible to convict for impaired driving as this offence does not require that there is a certain concentration of alcohol in the blood. More problematically though is that a failure or refusal to provide the sample may result in a criminal charge for same. A conviction for failing or refusing to provide a breath sample carries the same penalties as over 80 and impaired. However, there are circumstances where refusing to provide a breath sample may be legally permissible. However, these circumstances arise rarely and, in any case, should be consulted with a lawyer prior to subjecting yourself to such testing. Therefore, it is important to ensure you speak with a lawyer upon being arrested and/or prior to subjecting yourself to testing. Some categories where refusing or failing to provide a sample may be legally permissible include, but not limited to: medically incapable, unlawful demand, invalid demand, improperly calibrated intoxilyzer or Approved Screening Device. Q4. Can I delay the taking of my breath samples by offering a blood sample? A4. The short answer to this is no. A police officer must obtain a breath sample where possible unless doing so would be harmful to the accused or otherwise impracticable. Denying the taking of a breath sample despite offering blood samples is still a refusal and can amount to such a charge. Q5. I have been convicted for drinking and driving in the past and this is a subsequent offence. I am definitely going to jail right? A5. Not exactly. While the Code prescribes minimum punishments for subsequent offenders, there are other laws that come in to play that affect whether, on a subsequent offence, the accused will go to jail. One of these laws is known as the GAP principle which allows the court to distance the weight of an accused’s record where there have been significant gaps in criminal behaviour. Another valuable area of law is plea bargaining. Your lawyer at Aitken Robertson will be able to meet with and negotiate with the Crown in order to craft a resolution that does not call out for automatic jail for the prescribed time. Also, the Crown has some discretion as to whether to file Notice of Increased Penalty if the prior conviction for a drinking and driving offence was 5 years or greater. Of course, and it goes without saying, there needs to be a conviction before any prior record has any deleterious effects on an accused facing a subsequent conviction. Q6. I only had two beers prior to being pulled over, can I win? A6. If you asked that question prior to the amendments in 2008 (Bill C-2), the answer may very well have been maybe. In the current (at time of writing) legal sphere that argument, otherwise known as the Carter Defence, has been significantly limited to the point where it is impractical to argue. With the new amendments, to advance this “Carter” style defence, not only would the accused have to show that he/she only consumed “two beers” but also that the intoxilyzer was not functioning properly and that the malfunction would have rendered the accused’s BAC to be below 80mg. That said, at the time of writing, the Supreme Court of Canada is currently reviewing that narrow aspect of the law. Please look for our article on our website relating to this issue. Q7. The Judge prohibited me from driving for one year following my sentencing for drinking and driving and/or dangerous driving. The Judge was in Ontario. If I move to another province, I can drive again. A7. Many people get this confused. A Judge sitting in a Provincial Criminal Court has the jurisdiction to impose a driving prohibition nation-wide. Despite the language used by the Judge, the Code prescribes that a prohibition Order is effective throughout Canada. It is vital to understand that a driving prohibition Order in one Province by a Judge in a Criminal Court is effective throughout all of Canada. That said, each province will have its own flow through provisions in their respective provincial legislation which further suspends that person’s driver’s licence in the province. Should that province have a reciprocal agreement with other non-Canadian jurisdictions (i.e. some States in the United States of America), such a suspension would be effective in that particular State. It is important to consult with a lawyer privy to this area of law such as Aitken Robertson so that they can help explain your various rights, privileges and limitations. Q8. If I plead guilty can’t I plead with a Judge to substitute the criminal drinking and driving offence(s) in exchange for a careless? A8. The short answer to this is maybe. As a careless is not a lesser included offence of Canada’s drinking and driving laws, a Judge has no jurisdiction (inherent or residual) to substitute an offence for another offence. While s. 606(4) of the Criminal Code allows the Court to entertain a not guilty plea to the criminal charge and a guilty plea to a careless driving charge (provided the facts support such a charge), the Judge still needs the consent of the Crown to do this. Accordingly, the better answer should that a Judge cannot substitute an offence of drinking and driving for a careless driving on his/her own decision, it can exert some influence over the Crown to pursue a careless driving charge should the Crown’s Office consent. Currently, the Attorney General has issued a province-wide directive to the Crown’s Office not to resolve drinking and driving cases by way of a careless driving charge unless there are serious impediments to a conviction for the charges as laid. Q9. If I am involved in an accident, do I have to comply with a police investigation by answering their questions even if it tends to incriminate me? A9. When someone is involved in an accident involving motor vehicles (as defined in the Highway Traffic Act), a duty arises both from the driver to the police and from the police as well. The Highway Traffic Act compels those involved in a motor vehicle accident to comply with police investigatory questioning. That also raises issues with the compatibility of such compelled statements with the Charter of Rights and Freedoms, particularly s. 7 where everyone has the right not to self-incriminate. You may have heard this in movies as the “right to silence”. Effectively, it is always on the Crown to prove someone’s guilty beyond a reasonable doubt and the accused person need not assist in making the case for the police. Accordingly, where a statement is compelled, Ontario has held that such statements cannot be made admissible in a criminal prosecution provided it is a truly compelled statement. More particularly, Ontario’s Court of Appeal has held that where statements are compelled, the police cannot even use those statements to form reasonable and probable grounds for an arrest. It is important to understand that not every statement given to the police is being made under compulsion. Please consult with a lawyer at Aitken Robertson for more information. Q10. I intend on pleading guilty so I don’t need a lawyer. A10. Technically speaking, you never really need a lawyer. Much in the same way that you don’t really need an electrician to wire your home – that is, if you know what you are doing then save the expense. However, chances are that if you’re not an electrician, something will go awry with the wiring of the house and then it will be too late to undo it. Much like the situation with the electrician, if you plead guilty and it turns out that wasn’t the best choice, it becomes incredibly difficult to undo the plea. Moreover, not many people are versed in law. Doing your “research” online or otherwise is a dangerous and slippery slope to embark upon. You may not be aware of all the intricacies of the law and may very well overlook important aspects of your case that would otherwise point to your innocence and/or make it a difficult case for the Crown. It is vital, then, that you consult a lawyer. The lawyer may not know how to wire a house, but he/she will know what to look for in your case. It may make the difference to your liberty. In a recent case, a client represented to our firm that he/she would like to plead guilty as he/she felt there was “no defence”. Upon reviewing the file, the lawyers at Aitken Robertson were able to find various errors in the evidence which ultimately led to the withdrawal of the criminal charges. Had this person not consulted with us and proceeded to plead guilty, he/she would have caused themselves unnecessary stress and other detrimental effects that could potentially haunt him/her for the rest of his/her life. It is always advisable to seek legal advice prior to making any decision. Aitken Robertson offers a free 30 minute consultation to help get your bearings straight. Q11. How does the breath machine work? Most breath machines use infrared spectography to determine the concentration of alcohol in your breath. Infrared energy is passed through the breath sample and depending on how the energy is interpreted after passing through your breath indicates the amount of alcohol in the air. The most commonly used roadside screening device is the Draeger Alcotest 7410 GLC. This machine gives a generalized reading, either a pass/fail/warn or red/yellow/green lights. Failing this machine only means that you can be taken to the station for further tests and is not evidence in and of itself. This machine has faults similar to the more complicated machine at the station and it is important that you have someone experienced with them review whether they were operating properly after your arrest. The Breathalyzer and Intoxilyzer are instruments used at police stations to analyze the specific quantity of alcohol in your breath. The understanding is that there is a direct relation between the amount of alcohol in your breath and in your blood. Remember, it is only a crime to operate a motor vehicle when your Blood Alcohol Content (BAC) exceeds 80 mgs of alcohol in 100 ml of blood, not your Breath Alcohol Content (BrAC). These machines are not infallible. The law is shifting and some Courts are not happy that it is becoming “trial by machine.” In fact, common problems include: improper calibration, interfering compounds, homeostatic variables (your specific physiology), mouth alcohol interference, testing during the absorptive phase, relating readings back to the time of driving. Most police forces are shifting to the Intoxilyzer 8000C from the Intoxilyzer 5000C. While this new machine is considered better, it actually is not in many key ways. The 5000C used 3 different infrared frequencies to test your breath. The 8000C only uses 2. This increases the number of compounds that could be mistaken for alcohol. Also, the 8000C measures fewer times per second because of the way in which the infrared sources are produced. Each time a new machine is released we are all told how amazing and infallible they are, yet we heard that immediately prior when the last machine was introduced. THESE MACHINES ARE NOT INFALLIBLE. It is important that you have a knowledgeable lawyer examine your case to find out if there were any problems with the machine.